Melissa and Sean are amazing! A perfect example of having your Engagement session to your style. Melissa and Sean have a beautiful boat in Lake Mead that we took out for the day onto the sunset. 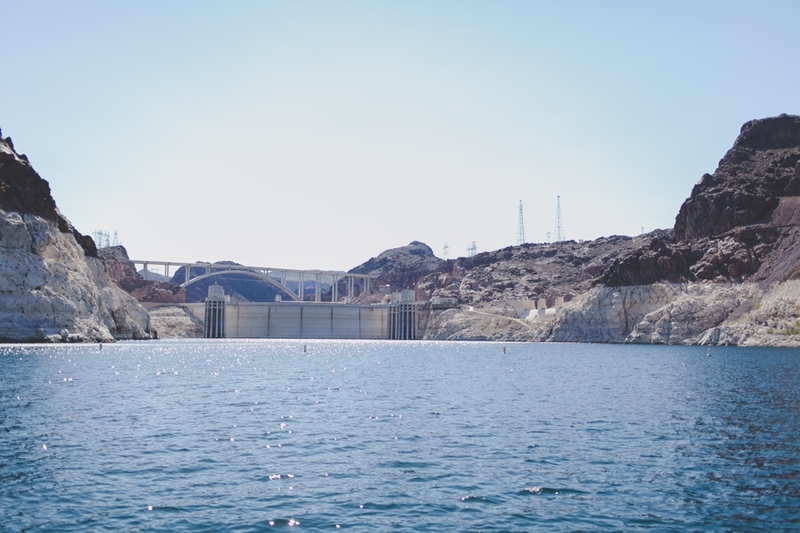 With our day starting by the well known Hoover Dam and blue skies we set sail. I absolutely love the deep true love and passion these two share. They are so amazing to just watch interact. Making my job as a photographer easier than I could imagine. I don’t like to pose or set things up in any photo shoot, and these two just went for it and had fun. On land or boat they just showcased what love is about. This boat was awesome with plenty of room to lay out on the front and coast around. The lake water looking like a million diamonds glistening about the water. Blue skies a warm sun and fresh air felt amazing. You couldn’t ask for a better day on the lake. A little change as the day was coming to a close and the sun began to set. Melissa wore a beautiful white summer dress and Sean in a matching blue shirt and white pants looking sharp. As they embraced each other on at the front of the boat, they just appeared magical and like we were the only ones out this day. This day it was our lake and it felt great. This Engagement picture skas it all. A picture is worth a thousand words they say. The first here would be Love. Melissa looks safe at peace and her soul connected with Sean. I always love to photograph different perspectives and angles as it creates a feeling for the moment lived. As a professional photographer and artist I love to search and really anticipate the moment. Let the couple be themselves and they will set your shot up with little to any direction. Look at that water, so beautiful and they just look at home. As the sun had its last few minutes before setting, I had a great opportunity to photograph a few silhouette pictures that today may be some of my favorite I have ever captured. I love this style and technique that can be left to creative interpretation. This is a moment that needs no words, the feeling is there. But feel free to share some words of love in the comments if you wish 🙂 The end of our day on the Lake mended with a cuddly cruise back to the dock. Hand over hand keeping each other warm and cozy. Melissa and Sean or should I say now after learning of their amazing nicknames, Monster and Goblin are great to spend the day with. Their Wedding day will be in Northern California followed by a Las Vegas Reception at Legends ranch with the team of Scheme Events behind the design and planning.